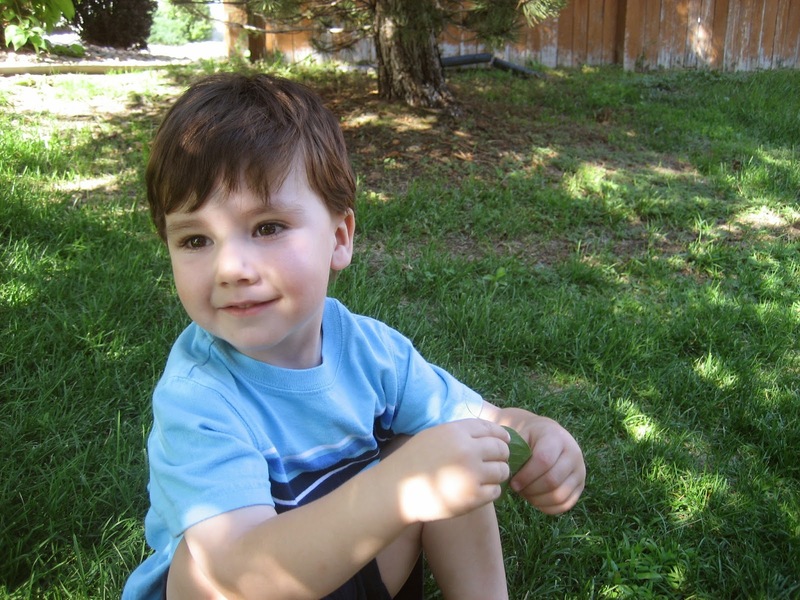 i was scrolling through old blog posts and discovered this gem, a never-published blurb about the phrases harrison was saying back in july 2009. he would have been 2 years, 3 months. at that point he had been through a few months of weekly speech therapy, provided free by the state because his expressive language was considerably below age level. if i recall correctly, he started speech at 17 months and graduated from the program at 20 or 21 months. "thank you god for dolphins"
"i want to see the horses"
"harrison do it all by myself"
we used to go for walks around the neighborhood. i'd push harrison in the stroller and carry graham in the bjorn. we never made it very far because oh my word it was exhausting! 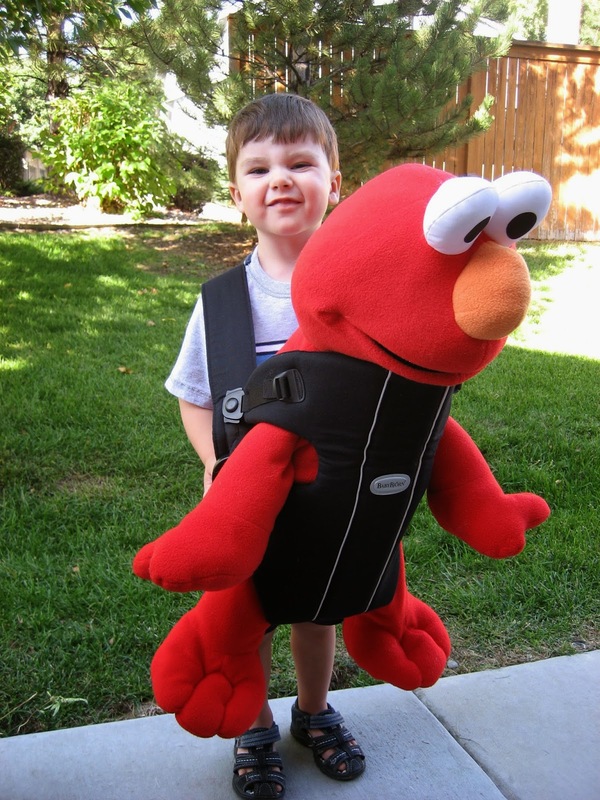 one day after returning home harrison decided to take elmo for a stroll up and down the sidewalk. he knew what he was doing was pretty cute! they call it the terrible two's but i didn't experience much of that. i have pretty fond memories of two. age three and half, though? forgeddaboudit!